Last Day! PERCEVAL’S SECRET is Free! Today is the final day you will be able to get Perceval’s Secret for FREE! Despite working with Amazon KDP Support, I was unable to convince them to match the free price at other Amazon sites in Europe, India, Australia, Canada, and Mexico. As I’ve offered earlier, if anyone in these countries would like a free copy for their Kindle, please contact me at percevalbooks dot com and include your country of residence in your request. Anyone who can, please purchase your free copy for Kindle from Amazon US. Copies of Perceval’s Secret are available for other e-readers from either B&N.com or Kobo.com. Once this promotion is over and I’ve had a chance to take stock, I’ll report on whether or not it was a success. Thank you to everyone who has already gotten their free copy! I hope you enjoy reading it! “Perceval’s Secret” FREE through April 7! Perceval’s Secret is FREE through April 7 at B&N.com, Kobo.com and Amazon.com! Synopsis: In June 2048, American Evan Quinn conducts the Vienna Philharmonic Orchestra in Vienna, Austria as Americans and Chinese conduct talks in that city about their economic relationship to prevent a global economic meltdown. Evan defects to be free of American oppression and brings a “Day of the Jackal” secret with him that could demolish the talks and ignite a global war. Viennese Police Inspector Klaus Leiner, convinced Evan is an American spy, especially after CIA operative Bernie Brown takes an interest in him, organizes a surveillance operation to collect evidence for his arrest. Evan must stay ahead of the police and CIA while establishing his new life and music career. He believes he’s left America behind but has he? Whom can he trust? Finally, he realizes that his secrets could make him his own worst enemy or provide his best chance for survival. 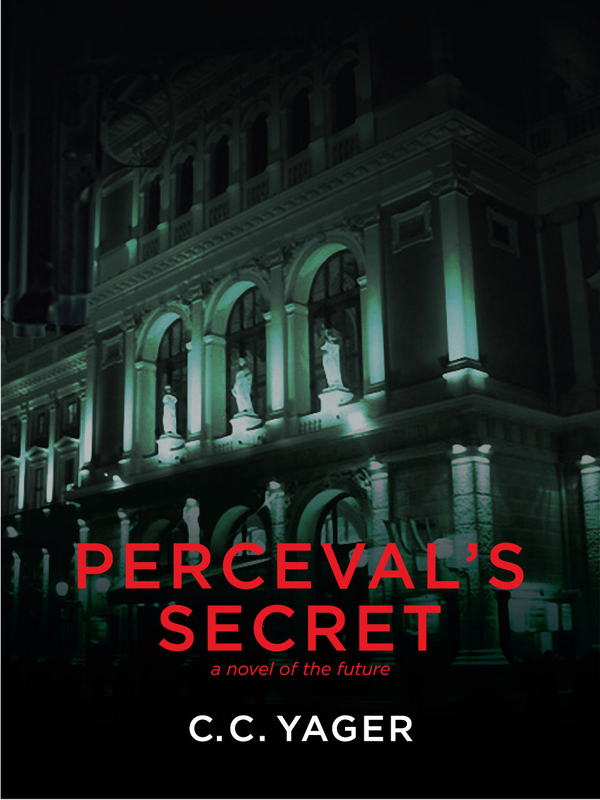 Pricing update: As of March 25, the only Amazon site offering Perceval’s Secret for free is Amazon US. Do you like to read suspenseful novels that take you into a different world of experience as well as a different country? 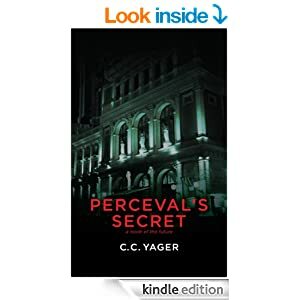 If so, check out my thriller novel Perceval’s Secret. It’s available at Amazon, B&N.com and Kobo.com for FREE through April 7, 2018. Nothing Stops the Books Giveaway: Want to win a Kindle Oasis? In addition, if you’re a member of BookBub.com (or want to become a member), there’s a big promotion going on from March 23-29 sponsored by LitRing. You can enter a drawing to win one of two Kindles Oasis by clicking on C. C. Yager’s name on the giveaway page here. Her BookBub author page will come up and just click to follow her there. Voila! You are now entered to win a Kindle Oasis! After entering the drawing, hop over to Amazon or B&N.com or Kobo.com and get your FREE copy of Perceval’s Secret to read! There is an element in the Perceval’s Secret cover photo that appears not to belong. Can you find it? Look closely….. If you think you’ve found it, send me a note at percevalbooks(at)gmail.com identifying/describing the element and its location on the cover. The first twenty-five people who identify the element correctly will receive a FREE copy of Perceval’s Secret in the e-book format of their choosing (Kindle or Nook). Then I will announce the winners here. Check at The Perceval Novels public Facebook page for hints. Remember, you must send me a note at percevalbooks(at)gmail.com. Any other communication will not be eligible to win.